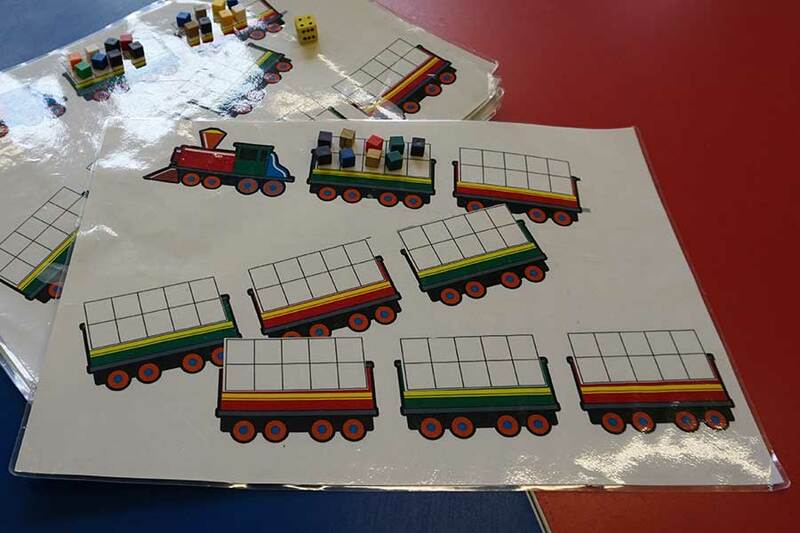 Build knowledge of numbers past 10 with the train game. Each carriage is a tens frame that children fill with ‘passenger’ cubes after rolling a dice. Encourage children to count using whole tens where possible. Use language such as ‘2 whole tens and 3 more’. The game can take a while, to speed things up children can play in pairs or with dice/spinners with larger numbers. Thanks for the comment! I should have a template for this or something similar, I’ll try to find it for you.